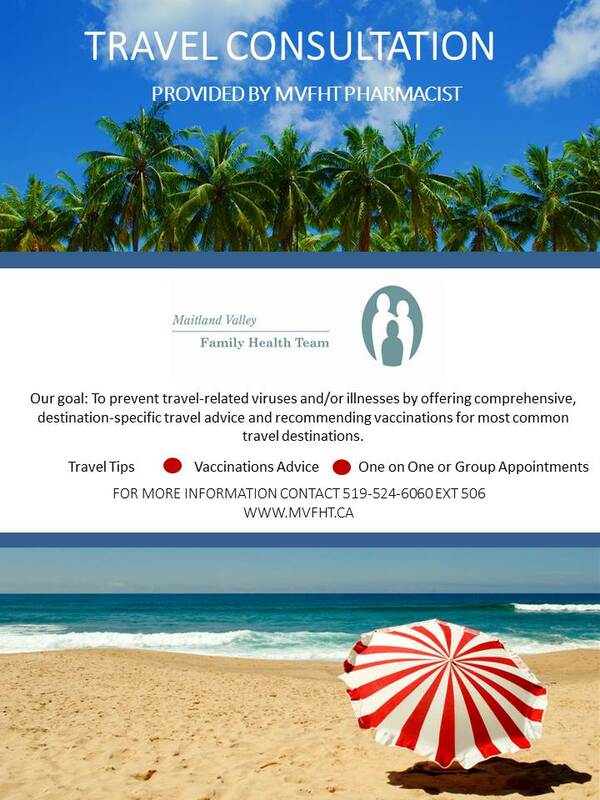 This program offers travel advice and recommends needed vaccinations for patients who are travelling abroad. One on one or group appointments are available. 6 weeks notice before travel is preferred. Patients may be referred to London Travel Clinic, depending on their itinerary. Click the image below for a full size preview.